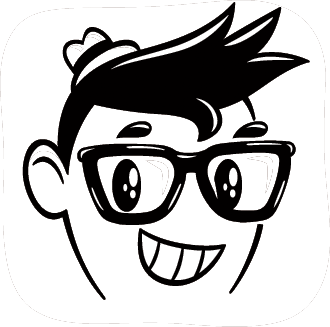 Category Archives: Here Comes the Reign Again…and How! Here Comes the Reign Again! Pure Pop Radio and Your Favorite Artists Celebrate the Second British Invasion in Grand Style. Happy Days are Here Again! Hot on the heels of last April’s spectacular double-album, Drink a Toast to Innocence: A Tribute to Lite Rock, producer Andrew Curry is soon to make waves with his second celebration of the best days of our musical lives. 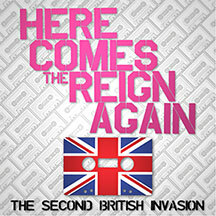 With the upcoming Here Comes the Reign Again: The Second British Invasion, Curry has set his sights on the post-lite rock years, when the nascent MTV was already TV’s official visual showcase for music crazy kids and groups such as Duran Duran, the Human League, Wham!, Howard Jones and Simple Minds. These and other groups quickly and commandingly took hold of radio stations and listeners across the country. Curry was a neophyte producer and compiler when he dove head first into the detailed process that resulted in Drink a Toast to Innocence. He proved, at first light, that his love for the music that populated the soundtrack of his life and the passion that fueled it were his two most important assets. The how-you-do-this-and-that kind of nuts-and-bolts production-related details he could, and did, grab hold of like the pro he is. Still buzzing from the warm and welcoming red carpet laid out for him by the worldwide pop community, he quickly decided to build on the Innocence buzz by starting work on his second project, an equally well-rounded compilation of classic early eighties tracks interpreted by some of pop music’s most creative practitioners. As we did during the life of Drink a Toast to Innocence, we are celebrating Here Comes the Reign Again with an extensive promotional effort, which begins below and will continue through to the release of the compilation. Don’t forget to check out the Reign Kickstarter page for the various items, including the snazzy-looking t-shirt pictured at right, you can get by pledging your support with a donation. Here, on this page, we have gathered a look at selected tracks from Reign that we hope will sufficiently whet your appetite for the second British invasion. Andrew Curry has very kindly created introductions to 19 of the songs appearing on Reign. These introductions are exclusive to Pure Pop Radio and, along with the newly-recorded songs, are now playing in rotation on the air. You”ll hear Andrew spill on the making of these tracks, relate insider anecdotes and talk about the artists working behind the microphones. But wait: there’s more! We’ve got another exclusive-to-Pure-Pop-Radio offering: an audio one-on-one with Andrew that spills the beans on how Here Comes the Reign Again was put together. This conversation with Andrew appears on this page; simply navigate below and click on the play button to enjoy. As we said, we’re very excited about Here Comes the Reign Again. Dive into the get-to-know-Reign nuggets on this page and brace yourselves for more, more, more to come! We’d like to put the Pure Pop Radio spotlight on just some of the great songs we’re currently airing in rotation with Andrew Curry’s informative and exclusive introductions. Take, for example, Mike Viola’s version of Tears for Fears’ “Everybody Wants to Rule the World.” Viola is a great favorite here at Pure Pop Radio. His take on “Everybody Wants to Rule the World” is typically golden. Centered around some lovely acoustic guitar picking and his emotionally-invested, magical voice, this is at once a contemporary specimen and a tip-o’-the-hat to some grand music created mere decades ago. Chris Collingwood toils away at his day job, where he is lead vocalist and songwriter at Fountains of Wayne. Here, he travels down the musical hallway to tackle in solo mode the Dream Academy’s ethereal “Life in a Northern Town.” Collingwood has moved the tempo along at a bit of a faster pace and transformed the tail of the tune into a group singalong. Winterpills’ backing vocals contribute to this updated, loving look at life in a northern or, really, any town. A smashing job. Jim Boggia enlisted his friend, the Figgs’ Pete Donnelly, to apply some quirky, contemporary polish to Adam and the Ants’ “Goody Two Shoes.” With a call-in of “One, two, drums,” the pop pair turn the original waxing into an easy shuffle with Marc Bolan-esque vocals. This is what transpires when a pair of old pros turn a classic song inside out and come up with a pretty wonderful musical pearl. For sure, many melodic pop fans, if not the whole lot of them, will adorn the Corner Laughers’ spirited version of Madness’ “Our House” with at least a couple hundred huzzahs. Longtime favorites here at Pure Pop Radio, the Laughers don’t do much mucking about with this classic song. Moreover, they pay happy tribute to it, applying a joyous gloss to the proceedings. Once again and always forever more, singer Karla Kane’s lovely, playful voice takes center stage. And don’t miss the funky electric guitar parts. They’re very cool. There’s more–a whole lot more joy on Here Comes the Reign Again: The Second British Invasion, now chugging up a storm on the official Kickstarter page. Make your way over there for Reign’s official track listing and other goodies. Now, hear from the man himself, as producer extraordinaire Andrew Curry talks to our Alan Haber about the genesis and putting-together of Here Comes the Reign Again. It’s a typically spirited conversation, exclusive to Pure Pop Radio. Simply click on the play button below to listen. More to come. Remember, we’re currently spinning, in rotation, 19 great tracks from Here Comes the Reign Again, all appended by informative introductions by Andrew Curry. Listen every hour of our 24-hour broadcast day for the sounds of your favorite contemporary artists putting their spin on songs from the second British invasion! Categories: Here Comes the Reign Again...and How! Tags: adam and the ants, alan haber, andrew curry, bananarama, chris collingwood, duran duran, here comes the reign again, howard jones, jim boggia, madness, mike viola, pete donnelly, pure pop radio, simple minds, spandau ballet, streamlicensing, the corner laughers, the human league, the second british invasion, wham!